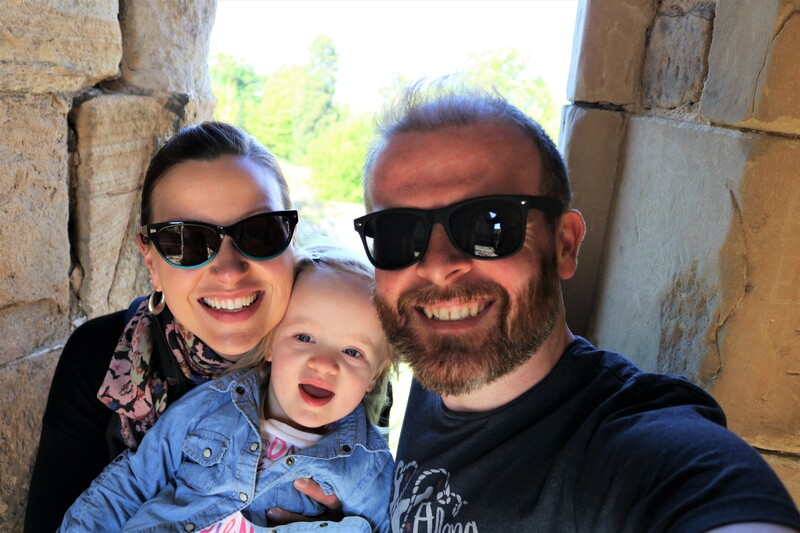 The life and times of a travelling family of three! I was born and raised in the city of Ottawa, the National Capital of Canada, and a city with a unique status within the country. Ottawa is an officially bilingual city, meaning that two languages, in this case English and French are both recognized as having the same rights, status and privileges within the municipal government. Ottawa has been a bilingual city for a long time; it is the capital city of a country with a French-speaking province smack dab in the middle after all, but it was only made officially bilingual by the city council in 2001. Now, you may be thinking ‘ya, so what? No biggie.’ It sounds great that people can speak two different languages and realistically it is one of the few things that sets Canada apart from our cousins south of the border. In Ottawa, however, bilingualism is an actual legal policy, not just a matter of personal choice, and this policy requires all public and private institutions to provide services in both official languages. Here is where my problems arise – I don’t speak, read, or write French. Ruh-roh! As a visitor to the city this isn’t a big deal, and it only became a problem for me when I got older and was trying to find a job. Curse you unilingualism! My lack of French-speaking skills isn’t for lack of trying; I’ve been trying to learn my whole life! I went to a French immersion kindergarten and then took French classes all through school. I even took private French lessons with a language school as an adult, and still my spoken French stays at about the level of five-year old. Kaplan International recently produced a great infographic about how to learn English and it really got me thinking about my lifelong language struggles. I do think that there are people who just have the knack for languages, those highly irritating people who can fluently speak four or five languages and seem to be able to pick a new one up easier than the common cold, but for the rest of us it’s all down to hard graft. How though can you maximize your chances of picking up a new language? Well my years of failure have led me to a few conclusions. You need to leave your pride at the door and accept that to a native speaker you are going to sound like a child. You are going to mix up tenses, you are going to make massive faux pas that leave your conversation partner either horrified or in absolute stitches. Deal with it. You need to immerse yourself. Learning a language is not something that most people can do without considerable dedication and the best way to fully dedicate yourself to the cause is to surround yourself with it – all day, every day. This last point was really highlighted to me on my recent trip to Paris, where after only a couple of days being surrounded by French I was already starting to see improvement. Now if only I would win the lottery and get that apartment in Paris that I’ve always dreamed of. It’s the money really that’s holding me back from learning French. The best tip I was ever given was by a French tutor I had in my early twenties, a rather handsome lad from France, who stated that the best way to learn the language was to have a French lover. Oh la la! Maybe that was an offer but I was too young and naïve to notice. Regardless, it seems like a pretty reasonable suggestion, though admittedly not the easiest to depend on. There are a couple of things about the Kaplan infographic that I find particularly interesting. One is that podcasts aren’t mentioned at all. There is a wealth of great language podcasts out there and in pretty much every language imaginable. Don’t waste your daily commute eaves dropping on conversations in the subway, get yourself a podcast and make the time really count! I also find it somewhat disturbing that 56% of the people polled said that computer games helped them learn English. I’m not sure that I want to have a conversation with someone who learned the language via. Grand Theft Auto. Unless you plan to work as a trucker, or obviously a car thief, this does not seem like the best learning platform. Maybe I’m just showing my age. Have you ever tried to learn another language? English, French, Klingon, Esperanto? How did you do it? I don’t ask for help very often but if you like this post please visit the Kaplan International blogger competition page and vote for me between May 19th and June 1st, 2012! You MUST log into Disqus via Facebook and leave a comment saying that you vote for A Crafty Traveler and include a link to this post. Consider it your good deed for the day! Oh, and every voter will be added to a prize draw to win an i-Pad! Exciting! I completely agree that you have to leave your pride at the door when learning a new language. I have been studying Japanese for the past 5 years. During the first two years of study, I was too embarrassed to speak and my progress suffered. After that, I made an effort to speak any Japanese I could, regardless of how accurate my grammar was, and my language skills improved by leaps and bounds. What I’ve realized recently is that I don’t judge people when they don’t speak perfect English so why would I think everyone is judging me for not speaking perfect French? Anyone who is that judgemental isn’t worth my time anyways. Learning a new language is admirable so why feel embarassed to try! Enter your email address to follow A Crafty Traveler and receive notifications of new posts by email.